The Clark Fork River is over 310 miles of fishing paradise located in western Montana. It holds native Cutthroat, Rainbow, Brown and Bull trout. The lower Clark Fork River is stuffed full of monster pike and small mouth bass that love to chase streamers. The Clark Fork River starts its head waters in Butte, Montana, and flows all the way to the Idaho border passing through downtown Missoula, Montana. One of the things we love to do is the Missoula downtown stretch and stop at one of the local pubs to have lunch with a couple of well deserved cocktails. Then end the afternoon shooting to rising lunkers. Many of the tributaries flow into the Clark Fork River making it by volume the largest river in Montana. Rivers that feed the mighty Clark Fork River include the Little Blackfoot River, the Big Blackfoot River, the Bitterroot River, and the Flathead River, just to name a few. If you are hunting for sipping trout this is one of the best places in the state to fish. 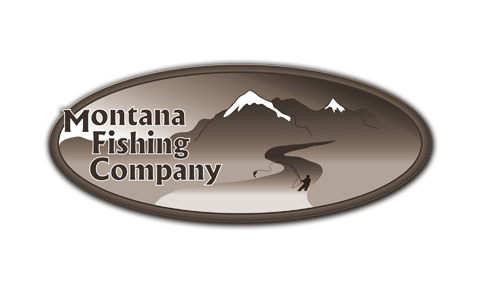 Multiple hatches year round make it a mecca for fly fishermen and women. The lower stretch is hardly touched by anglers. One must have a drift boat or raft to chase the native Montana trout in this watershed. This portion of the river flows through Thompson Falls, Montana, and has an abundance of wildlife to see. You will encounter wildlife such as elk, deer, bear, bighorn sheep, mountain lions, and wolves! You will see Bald eagles, Golden eagles, and osprey soaring above your drift boat looking for a meal. If you are looking for seclusion then this is the place to wet your line. Let one of our knowledgeable and trustworthy guides lead you down this stretch to show you first hand what Lewis and Clark must have experienced. We offer week long trips for the entire 310 mile stretch of this river based on a daily rate. Ready for some Clark Fork river fly fishing yet? Contact us today or call 406-210-0971!